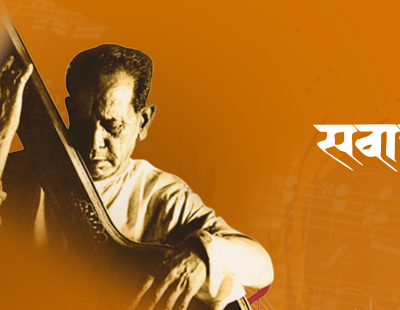 Samrat Pandit is an exponent of Patiyala Gharana of Hindustani classical music. His father late Pandit Jagdish Prasad was a disciple of Ustad bade Gulam Ali Khan, and his grandfather, Pandit Badri Prasad, was the court musician of Raigarh, (MP). A child prodigy, he participated in "Bal Kalakar" programme of All India Radio at the age of 5. By the age of 10, he started accompanying his father at concerts around the world. The grandson of legendary "Esraj" player Late Shri Bimal Das and son of the renowned sitarist late sri Sailen Das; Pandit Kushal Das is an iconic name of Indian classical music. He started his training at the age of 5 under his father, and his uncle late shri Shantanu Das. He learnt advanced sitar techniques under Pandit Sanjoy Banerjee, later from Late Pandit Ajay Sinha Roy, and vocal training from Late Pt. Manas Chakraborty and Late Pt. Ramkrishna Basu. He is a “TOP-GRADE” musician of All India Radio and Doordarshan, and has performed at many elite stages across the world. Born in a music family, Gayatri was initiated into music by her father Shri Shankar Shrishaillya Vairagkar, who himself was a disciple of pandit padmakar kulkarni. Touted as the artiste to watch for in the future, Gayatri is a promising voice of the new generation. A student of Smt. Aarti Ankalikar-Tikekar, Gayatri is known for her melodious voice with a powerful focus.. Along with classical music, she is also adept at different forms such as thumri, dadra and natya sangeet. A stalwart of Indian classical music and a world renowned teacher, Pandit Ulhas Kashalkar's music has stood the test of time. He was initiated in music by his musicologist father Sri. N D Kashalkar. He then tutored under Pandit Ram Marathe and Shri. Gajananrao Joshi. Pandit Ulhas Kashalkar’s uniqueness lies in his ability to perform the nuances of Gwalior, Jaipur and Agra Gharanas with absolute ease at the same time, and in the authenticity of his music.